Here at K.S. 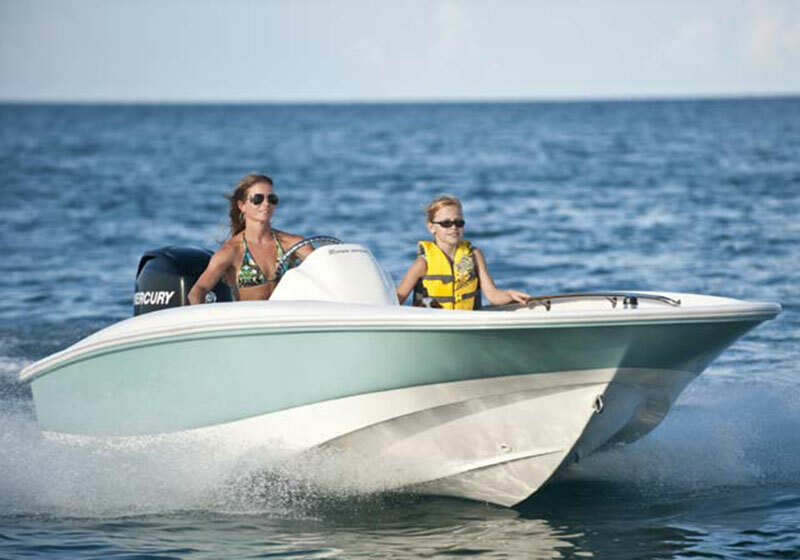 WaterSports we are excited to offer you the very best quality Boat Rentals in Bermuda! Be your own Captain as you cruise over Bermuda’s glistening turquoise waters and explore the island and its waterways at your own leisure! For Hamilton, Southampton and St. George’s boat rental reservations – book your rental boat online and on our website by clicking this Book Now link. For Boat Rental enquiries please email us at info@kswatersports.com. A K.S. WaterSports representative will get back to you as soon as possible to answer any questions you may have or to secure your reservation over the phone if you prefer. Just imagine cruising across Bermuda’s glistening waters, the wind blowing through your hair, while you take in all the beautiful scenery and sites around you. Relax at a pink sandy beach, swim near the sand dunes, have your own catered picnic lunch for that romantic getaway, or even snorkel some of our gorgeous coral reefs. Our boat rentals offer guests a unique, safe and fun experience out on the water which is suitable for families, couples and the solo person. Whether you’re a novice or an experienced boat operator, we have the right type of rental boat for you that will suit all your needs so you can enjoy your time spent in Paradise! 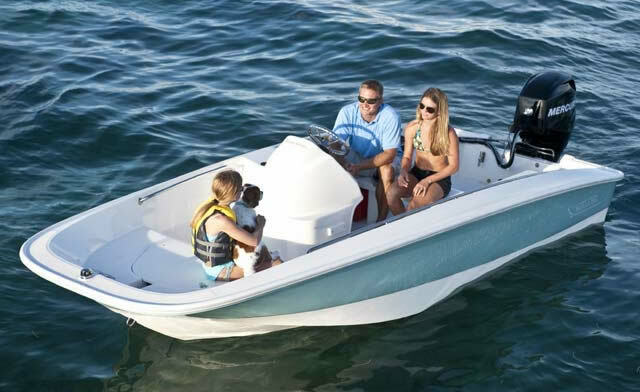 COMFORTABLE, SAFE, EASY TO CONTROL, FUN ON THE WATER! 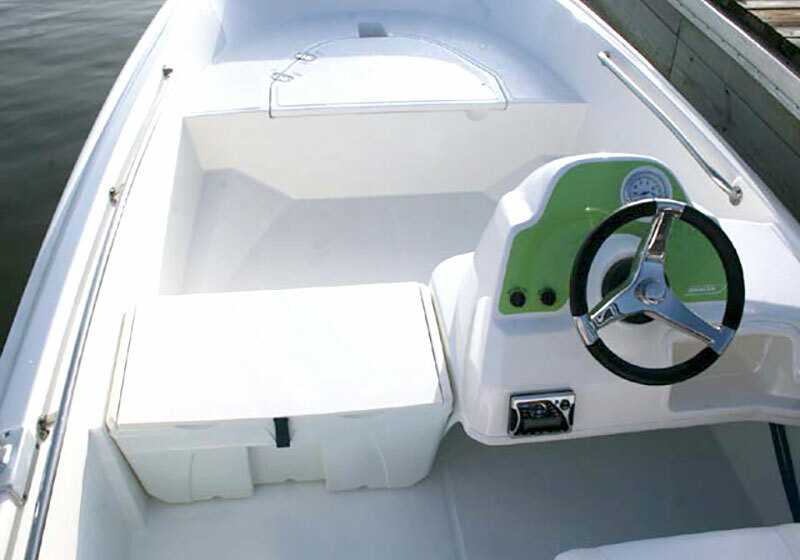 No Experience Necessary for our 13′ and 16′ Boston Whaler Rentals. A detailed orientation will be given to all participants prior to boarding of your vessel. A K.S. WaterSports staff member will show you how to drive the boat properly, docking, using the handheld devices for communication in case of an emergency, rules of the water, all safety gear and where it is located, and what to expect while out on the water. All safety gear, flares and life jackets are provided and stored on each vessel. Once the safety orientation is over then its time to get in your rental boat and start your adventure! Map of Bermuda’s waterways, inlets and places to see. Anchor with plenty of rope and chain. Snorkel equipment, Floatation Noodles, A licensed boat captain, food, drinks, etc available at an additional cost. Snorkel equipment, floatation noodles, food, drinks, etc available at an additional cost..
Snorkel equipment, floatation noodles, food, drinks, etc available at an additional cost. Comfortable seating for up to (10 guests – Pontoon Rentals) / (up to 4-5 guests – 16′ Boston Whalers) / (Up to 3 guests – 13′ Boston Whalers). See above our recommendations on boat passenger capacities and overall best boat performance when choosing your rental boat. Full orientation & safety briefing from a K.S. WaterSports staff member on how to operate the rental boat properly, docking, etc. Music Radio – on some rental boat models only. A smooth comfortable and stable dry ride as you explore the islands waterways and coastline. Exploring several coves & inlets located around Bermuda. Feeding fish from your rental boat – Bread can be provided upon request. Seeing some of Bermuda’s oldest Forts which were built in the late 1700’s. Relaxing at one of many beautiful pink sand beachs located around the St. George’s and Hamilton areas. Soaking up some rays on the deck and loungers. Spotting Sea Turtles, Rays and Longtail birds (when in season). Passing many historic sites located around our beautiful coastlines. 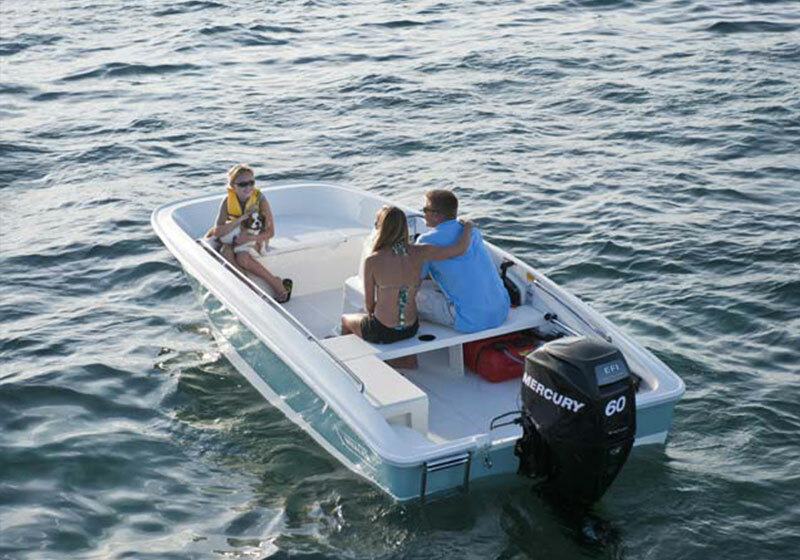 See our Boat Rental FAQ’S section for answers to common questions. See our schedules page for availability and times for our boat rentals. Our Pontoon Boat Rentals and Boston Whaler Boat Rentals are brand new 2015 models and 2016 models and are in great condition. This means you get to captain the very best equipment and rental boats on the water. (Our prices are very competitive plus you get newer boats and better built quality equipment for the same price as other operators charge for older vessels and outdated equipment). We offer you more! 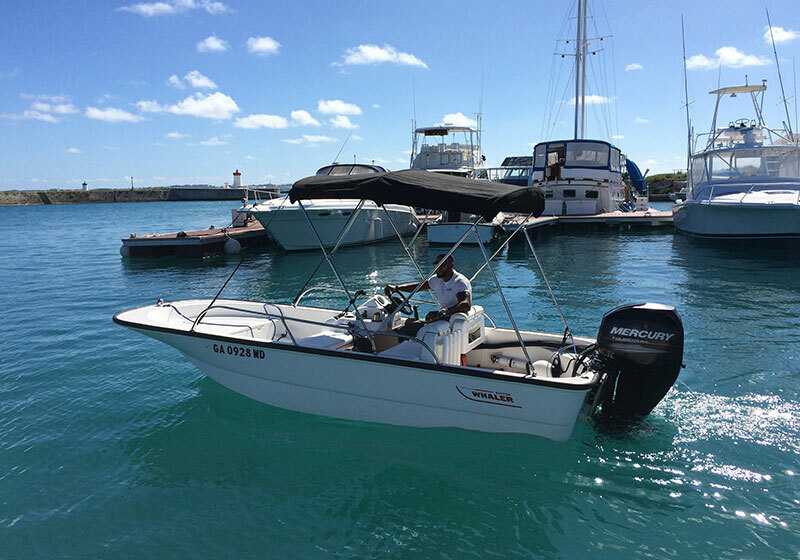 More rental boat models and options to choose from; more extras provided such as snorkeling gear, picnic lunches, drinks, etc; and more time spent out on the water having fun! We have many years experience on Bermuda’s waters and we know all the best areas and places to recommend to our guests. Our staff are extremely knowledgable and helpful, and will get you familiar with your rental boat, explain how to operate it correctly and safely, plus answer any questions you may have. We want your rental experience to be fantastic and like no other, so feel free to ask away! Enjoy mostly calm seas located around our Hamilton, Southampton and St. George’s locations. With so many protected bays, harbours, inlets and private islands located around Bermuda’s waterways, there is always calm waters to travel in and to make your boating experience fun and enjoyable. We have three of the Best Locations to rent boats from! Ask any local where the best areas in Bermuda are to spend on the water and they will tell you around St. George’s and the Hamilton/Southampton and Western areas. With the most beaches in a 5 mile radius, beautiful calm harbours and waterways, several areas to spot sea turtles and longtail birds, and amazing million dollar homes and mansions surounding the eastern and central parts of the island, you really have to see it for yourself to realize how amazing these parts of Bermuda are! – See our locations Hamilton, Southampton and St. George’s for details and our FAQ’S section on how to get to our Hamilton, Southampton and St. George’s facilities. To get to our Hamilton Location from Dockyard – Cruise Ship Guests docking at Kings Wharf & Heritage Wharf Cruise Ship Terminals can jump on the Sea Express Fast Ferry which departs from Dockyard and takes only 15-20 minutes to arrive at our water sports location in Hamilton. To get to our St. George’s Location from Dockyard – Cruise Ship Guests docking at Kings Wharf & Heritage Wharf Cruise Ship Terminals can jump on the Sea Express Fast Ferry which departs from Dockyard and takes only aproximately 25-30 minutes to arrive at our water sports location in St. George’s. (Boat renters coming from Dockyard by Fast Ferry should avoid booking an early morning half day boat rental in St. George’s, as you will not be able to make it in time for your 9:30am departure. 10am full day rentals and afternoon 2pm half day rentals are best suited for persons coming from Dockyard by Fast Ferry to St. George’s for a boat rental). To get to our Southampton Location from Dockyard – Cruise Ship Guests docking at Kings Wharf & Heritage Wharf Cruise Ship Terminals can catch the Number 8 public bus from Dockyard and right outside their cruise ship pier, which takes only 25-30 minutes to arrive at our water sports location in Southampton. (Guests will need to get off the Number 8 bus at the Waterlot Inn bus stop, located on middle road Southampton. Renters can also choose to take a 20 minute taxi ride from Dockyard straight to our Southampton Watersports facility, located at the Waterlot Inn on middle road, Southampton). Half Day Rentals (4 Hours) $355.00; an extra $100.00 for each additional hour; (take the stress out of driving with a licensed boat captain/guide. See our Boat Charters Page for details) Full Day Rentals (8 Hours) $650.00; (take the stress out of driving with a licensed boat captain/guide. 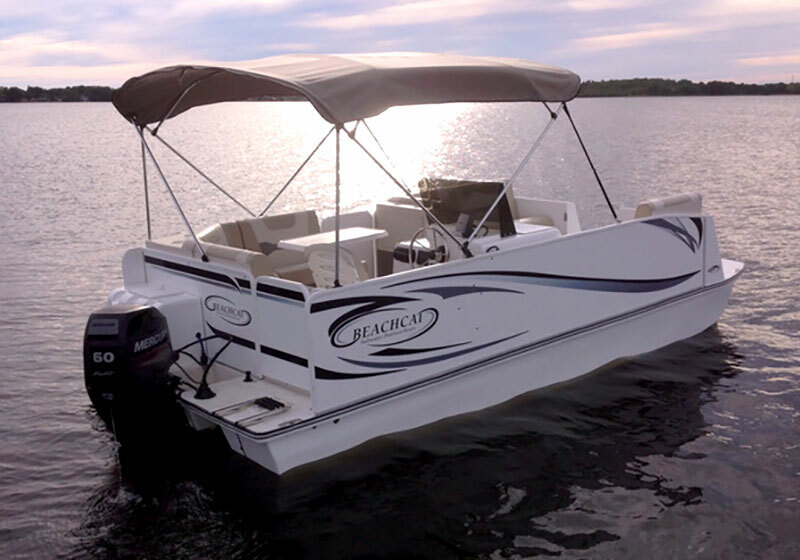 See our Boat Charters Page for details) *Pontoon Boat rental prices above DO NOT INCLUDE GAS – (For your knowledge – average gas used for a 4hr Pontoon rental is approximately $45 – $60 dollars. Full day pontoon rental around $65 – $80 approximately). Guests can pre-pay for fuel when making their reservation for slight savings and convenience. 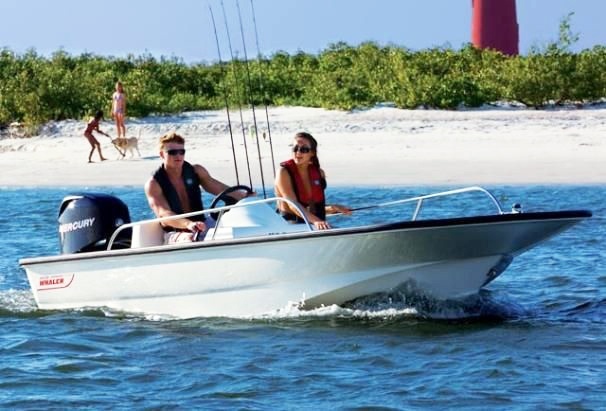 Half Day Rentals (4 Hours) $250.00; An extra $65.00 for each additional hour Full Day Rentals (8 Hours) $375.00 *Does not include Gas – (For your knowledge – average gas used for 4hr Boston Whaler rental is approximately $35-$50 dollars. Full day rental around $50 – $65 approximately). Guests can pre-pay for fuel when making their reservation for slight savings and convenience. Important Things to Know / Tips & Pointers? All rental boat drivers/operators must be at least 18 years or older and provide photo identification (passport, passport scan or drivers license accepted). Passengers do not require identification and can be of any age as long as their is an adult or legal guardian onboard. Please see our FAQ’S section on our website for many answers to common questions pertaining to our Boat Rentals and boat tours. Maximum weight limit per boat must not exceed the manufacturer recomendations. (For safety reasons). 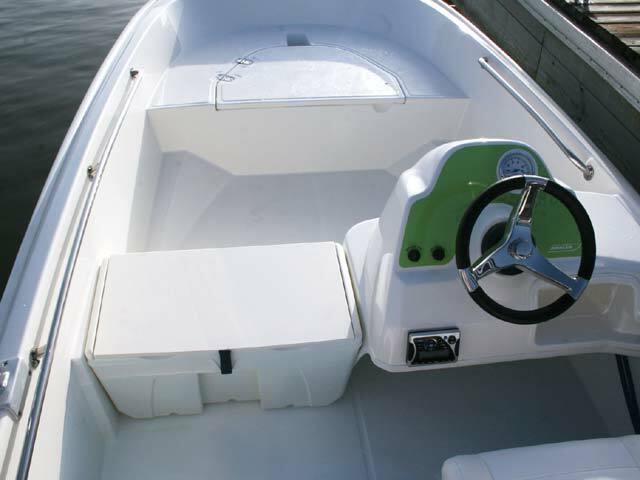 Rental Boats that are near the maximum passenger weight capactity of the vessel will affect boat speed and performance. *K.S. WaterSports recommends that you choose the right boat for your party or group size to ensure an amazing overall time on the water). Please call us if you need more information or recommendations on the correct boat size to choose for your needs. If you’re new to boating, don’t worry, we give all our drivers and participants a detailed orientation prior to their rental, and will show you how to operate your boat properly and where to go, along with all the safety things you should know. You will be required to read our rental agreement and damage agreement forms which all renters will be required to sign prior to departing on their boat rental. Q: What happens if the weather is bad or it is forecasted to be bad on the day of our boat rental? A: As long as you are not within the 48 hour cancellation period, you have the opportunity to cancel or move your reservation with no penalty. We strongly recommend for you not to cancel your boat rental due to weather predictions and upcoming forecasts, because very often the forecast is incorrect and the day might be beautiful and great on the water. Also weather and sea conditions in one area of the island may be different from our area during the time of your rental. So this is why we wait till the day of to make a final decison. Our refund policy states that guests will be refunded in full if they cannot go out on the water because of bad weather or if the water conditions are considered to be unsafe and dangerous. The best time to make the final decision is within 2 hours of the start of your rental. This way we will have the most accurate forecast. For rental boat reservations please visit our website and click on the Online Booking page. For enquiries or more information you can email us at info@kswatersports.com. A K.S. WaterSports representative will get back to you as soon as possible to assist you with your reservation. Alternatively, you can call our reservations department at the location you are interested in renting your rental boat from, or you can book your boat rental online and on our website. 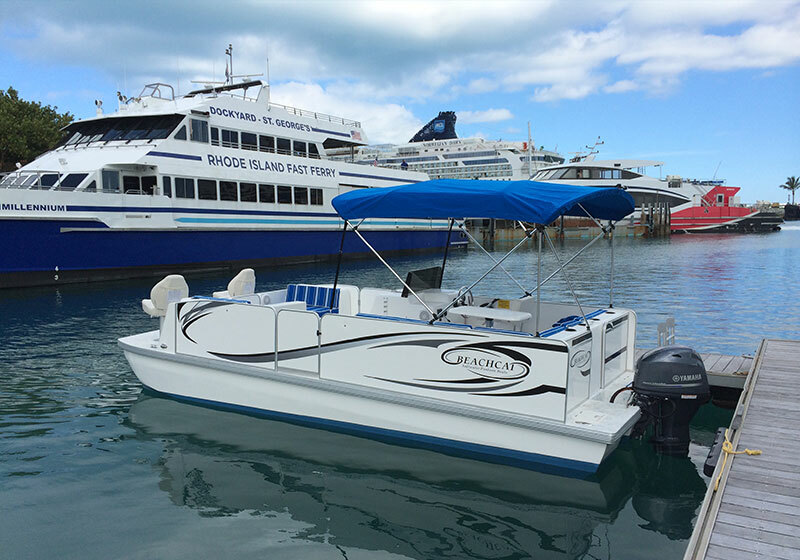 For Hamilton & Southampton rental boat reservations call: (441) 232-4155 [or book online] / For St. George’s rental boat reservations call: (441) 297-4155 or you can book your St. George’s rental boat online. See and experience this and more while you are out on one of our Boat Rentals!